Paradigm Life discusses various topics surrounding business, politics, philanthropy, health and fitness, and more. It's not about senseless gossip- but rather addressing issues that affect all of us whether we realize it or not. The goal is for all us to have some type of take-away from our time together. Last week a telling story about body image and self-esteem was shared on my other site, that I feel should be shared here. How many of you struggle with and cringe at what you see when you look into the mirror? Whether it’s weight-related, age-related, health-related, or tied to your wallet’s inability to cover the costs of dentistry, eyewear, or a more flattering hairstyle—many of us don’t love without condition or judgment what we see in the mirror. Read this post and then share your thoughts and opinions below. I’ve been divorced for 9 months. Most of you are shocked to read those words. But they are true no matter how many times you re-read them. This message has been sitting as a draft on my phone for six months. I wasn’t ready to share this at that time. I thought I could three months ago, but I still wasn’t ready. I made the decision that I would share in December. Symbolic for many reasons. Year-end, holiday cheer, families together, and because I hoped that this December would feel and be better than last year. So today I share the life-altering news with all of you—family, friends, associates, students, and strangers. No, I will not share details. I didn’t share intimate details of our courtship, engagement, wedding, and married life. I didn’t even rush to let people know I was dating, engaged, or married. That’s because I value and wanted privacy. I wanted to protect my man, my life, and what we had together. I didn’t want a bunch of folks all in our “mix” because I know that there are twice as many people hating on you than loving you. So I did my best to protect one of the most valuable relationships I had second to my relationship with God. You got a highlight reel of my life. So guess what? I won’t be sharing details about how we got to this point. Because plain and simply, it’s my life, and I value and want privacy. We do like “tea” don’t we? What once was is no longer. I’m only making this statement because I’m frequently receiving emails and comments on my websites, messages through social media, and being approached in public by people who joyfully praise me, him, and us. People make comments about “#MarriageGoals” and I slightly cringe because they haven’t a clue. Countless times this year I’ve spoken with people who have expressed a level of pride from looking at my marriage, the image that was publicly portrayed and lived, and seeing us over the years at various events. I’ve had people contact me to let me know that they pray for our marriage and the work that we do in the community. I couldn’t bring myself to tell these strangers, “thanks but he’s my ex husband now”. So I always find discreet ways to thank them for their kind and loving words and prayers, and then I leave the rest alone. I’ve discreetly removed myself from so much but clearly it hasn’t been enough. My absence hasn’t made clear my current status, it’s only made me less visible. People assume they don’t see me somewhere because I’m busy. There’s so much content of us online that all online searches express and imply the same “message”–that we’re still this visionary powerhouse couple. When the truth is, we used to be but now we are merely two visionary, powerhouse individuals focused on our own separate missions. We are on separate paths. We are no longer a couple. There is no “we”. We can’t erase or rewrite our past, and why would we? It was ours and we lived it boldly and I have no regrets. At the same time we must move forward to what is now the present. I will not clarify what is most clear. The first sentence of this post can’t get any clearer. Many who know us personally, professionally, or indirectly through our very public work are or will be shocked by this admission. But just as everything else in life, this too you will get over, get past, and it will soon become a distant memory that resurfaces in random moments and even more random online searches. But your life will go on, move forward, unscathed, uninterrupted, unbothered—and for those and other more important reasons, I ask that you refrain from further inquiry. There’s no need to dig for what is already at surface level. If you know me and didn’t already know this big shocker then you should be able to answer your own question as to why you didn’t know my reality months ago. No offense. I’m good. Really I am. I’m strong. I’ve “got this”—well, God has this and I’m rolling with Him. All I want and need right now is peace and the clear space to hear and act on what God is calling me to move forward on. I want to be free to embrace the opportunities that come my way. God has huge things planned for me and I can’t waste His time or mine, because He’s not giving me forever to get these things accomplished. Please respect me, respect my former husband, respect what once was, and respect what God has planned for our individual and separate futures. Our union is no longer. A seven-year history has ended. Lessons learned, experiences shared, milestones reached, and excellence attained. We built some amazing ideas into real masterpieces. I’m honored to have served in many roles through Operation HOPE. I’m proud of the work I accomplished, the tireless commitment and sacrifice to seeing an idea become a reality with HOPE Business In A Box, my 7 years as a HOPE Corp volunteer sharing Banking on Our Future with students all over, and my life will forever be changed by the lives that I encountered and embraced over 7 amazing years. Being away from both programs, away from the students and the pitch competitions feels awkward, abnormal, and like a huge void. But I will just have to find a new “home” to connect with, serve, and share my gifts. I’m glad that my advice and suggestions have led to the start of other programs, technologies, organizational practices, social groups, and organizations over the past few years. No one and nothing can change that. It was, it is, and it forever will be a part of my legacy and the legacy of this great organization and those affiliates that have launched in the past two years. May they all thrive and be successful. I’ve done what I was supposed to and I’m grateful for the opportunity. If you’re a supporter of the work then increase your level of support, there’s a global mission to fulfill. If you’re not a supporter then consider being one. Support their efforts—or support another organization’s efforts, just do something. Don’t just be a spectator, be a positive change agent. My job there is done. Sooner than I thought. I wanted to do so much more. But that’s an “oh well”. The season is over and it’s time to move forward. Now it’s time to end one chapter and begin a new one. Well I’ve already started on my new chapter, I’m just telling you so that you can catch up (*smile*). You can’t keep holding on to the page of this book trying to re-read the sentences, and I won’t entertain you as you attempt to stall. The story doesn’t just pause or remain in your fragmented happy-limbo state simply because you don’t move forward. It’s time to turn the page…. As the saying goes, “people are in your life for a reason, a season, and a lifetime” and the latter just wasn’t in the cards for us. The “reason” for me was and is clear—to see and feel the possibility of giving, sharing, supporting, and believing in someone else as much and in many ways more than myself. I supported the man and his mission while focused on my own. I made it “look easy” (as some have said) because it wasn’t “work” in my mind, for me I was doing my part as a partner, I was doing what it took to help a man fulfill his mission. Was I perfect and flawless? Heck no. I’m imperfect and have numerous flaws. I did the best I could with the resources that I had. Could’ve done more. Could’ve said more. But coulda, shoulda, woulda doesn’t matter. For seven years I loved and sacrificed for a man, and I have absolutely no regrets. I was blessed to love so deeply and for as long as I did. If I couldn’t say that, then I would have to question a great deal about myself and my relationship. I put my trust in God and He never fails me. My hurt and disappointment will be temporary because what I have with God is eternal. I keep my eyes, ears, and heart tuned into His station. For me, my marriage was the commitment to be selfless and to dive in with both feet, dedicated to fulfilling my vows in all ways. I’ve grown tremendously, learned a great deal, and seen (and felt) the joy of giving myself to another while pushing and praying for that person so that they might reach every goal and overcome every obstacle. I did all that I could to protect him, the organization, and the mission. Marriage is a wonderful union and commitment. I will always honor what it means to be married and to be a wife—both in the spiritual and literal sense. My ex-husband taught me a lot about life, business, entrepreneurship, perseverance, overcoming adversity, facing fears, the value of building relationships not just networking, having the courage to try anything at least once and to ask for what you want in business—as he always says, “you walked in with a “no” it’s your goal to turn that “no” to a “yes”, if you don’t then it doesn’t matter, you had “no” coming in….”. Those are wise words that I recite when I need a pep talk. I will take some of the lessons that I learned from observing, listening, and being guided by him, and I will build upon them as I climb to goals yet achieved. I will reattempt things that I failed at, like scuba diving (my deep sea experience was too much for a beginner) and getting back on a scooter (after falling and getting second degree burns from the motor—two weeks before our wedding). I’m focused on being a better person, servant, woman, daughter, sister, aunt, friend, educator, and entrepreneur. I’m focused on preparing myself as a mother and maybe one day, even a wife again—well, the latter isn’t my focus, but as the saying goes, “never say never” and since I’ve been wrong about my “never’s” before, I will let God guide me. Let me stop you now—no, I’m not in a relationship. I’m taking this time to focus on healing, praying, and getting stronger spiritually, emotionally, and physically. It would be unfair of me to subject a new person to my post-divorce life. I still have “muscle memory” of living with and sharing life with one man for seven years. I can’t just abruptly jump into a new relationship as though I’m healed, good, and ready to move into something with a new person. That would mean that I didn’t value my marriage and my role in it. That would mean that I had and have no feelings for him and for what we shared and built together. That would be a lie. It would be cruel and disrespectful to subject someone to that space in my life, when I need to be open and free to give myself without reservations. I’ve grown accustomed to a routine with one person for seven years. That’s not easy to unwind and realign. I’m in no rush. I need to feel and experience all that God needs me to realize, so that I can embrace, learn, and grow into the well-rounded woman He needs me to be. I can’t be the woman that a new man needs if I’m still wired to what my last man needed. And a new man shouldn’t be compared and contrasted to my last one. I need time and space for a clean slate—or as clean as can be expected. I’ve spent this year working on me and learning what I want and don’t want, and what I need and don’t need in both my personal and professional lives. I have to work through and push past some fears and doubts. I have to walk the walk as it relates to my faith in God. If I say I know He has me, then I have to walk with my head up and eyes focused with the confidence in knowing that God has already taken care of my needs—He’s just waiting on me to catch up. All that I want for Christmas is to be surrounded by my family and the peace that comes from knowing “all will be well because I walk with the Lord”. I asked my family for onesie pajamas and a $40 Atari classic game set. I’ve never been about the big, pricey gifts. I’m sentimental, so what is “small” to you is huge to me. Some of you may be shocked to read this. Shouldn’t I be bitter and enraged? No, not at all. God is constantly blessing me and how ungrateful would I be to wallow in anger and misery when He has blessed me even through this transition. I’m saddened to see a relationship that I valued greatly come to an end—I planned to grow old with this man, and die loving and committed to him— but I know that God has other plans and He has never left or forsaken me. I’m not being punished. I’m being molded, strengthened, focused, and prepared by God. I accept what has happened because I know that if God intended for it to be it would still be. So although I’m no longer married I am not broken. I am not alone or lonely. God has me in His Hands. I’m surrounded by family and my true friends. My cup runneth over. That brings me absolute joy! It’s difficult to balance a private-public life and I’ve done a pretty good job with it for several years. I yearn to continue maintaining a semblance of privacy as I look forward on the path God has placed before me. It’s already difficult to remain focused with life’s distractions, I don’t need anything extra coming my way through rumors, declarations, or inquiries. Of course you will see my highlight reels, but the full and complete story of my life is reserved exclusively for me. Just consider if you were me–try walking in my shoes for a moment and consider how you would want to be treated, and then please try your best to walk, act, and speak accordingly. Please don’t attempt to be a Nancy Drew or Hardy Boys new-age sleuth intrigued by missing puzzle pieces. Don’t waste your time trying to figure out the how, who, when, why, and where. You won’t have time to focus on your own life. Just let us move on with dignity. Please. Thank you to those of you who have prayed with and for me, been supportive, a shoulder and a sounding board, wiping my tears and holding my hand, and never wavering a moment as my truest of friends. Thank you for never altering your relationship with me, but remaining the same as you have always been. Solid and true to your word. I love, value, and respect you. Now let’s all get up, get out, and do what God has called us to do! May He bless each of us abundantly and I pray that we are prepared and ready to embrace those blessings. May your year end better than it started, and may your New Year be better than this year. I know mine will be! Copyright 2017. Natasha L. Foreman. All Rights Reserved. I enjoyed the Billboard article written by Patrick Crowley where Detroit duo, JR JR are highlighted, and Josh Epstein discusses why the band chose to take part of their earnings from their tour and donate them to the Jed Foundation to help with mental health and suicide prevention for young adults and youth. Epstein created a Mental Health Awareness playlist on Billboard’s Spotify account, and then shares why he selected some of the songs. It’s an eclectic list and in my opinion does show the spectrum of the highs, lows, struggles and victories faced by those who knowingly and unknowingly battle mental health issues. My friend Staci shared a post on Facebook by The Mind Unleashed. Now I’m not sure if this is original content by The Mind Unleashed, or if they are sharing information that they gathered elsewhere, so I can only credit what I have seen with my own eyes. I’m sharing this with all of you because it is not only deep, it feels so true–so poignant that I would be wrong to keep it for myself. I’m sharing it because I am a person who thrives off of energy and is very receptive of others energy. My insight and what some would call my “intuition” is extremely strong, so considering the blend of energy with others and how it not only impacts me but them is reason enough to share this with all of you. So today I share with you some powerful words delivered by The Mind Unleashed. After you read it please share your thoughts and be sure to forward this post to others so that we can create some healthy dialogue on this topic, and possibly rewire how and whom we are intimate with. Enjoy! We don’t mean practice celibacy or wait until you find “the one” or anything like that. Just be mindful of who you share your valuable energies with. Copyright 2014. Natasha Foreman Bryant. Paradigm Life. All Rights Reserved, except as noted. I’m smiling because I’m blessed and no one, and nothing can ever change that. It’s me and God rolling through life together each day! As a member of the Women 2 Women Conference host committee, it was great to hear about and see the write up by Ernie Suggs of the AJC for this year’s conference. I’m honored to serve as a Session Coordinator this year, and I’m excited to see, meet, reconnect, and hear these amazing women share their thoughts, advice, challenges, stories, and words of encouragement this Saturday. 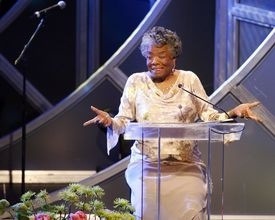 Maya Angelou, whose words have inspired millions, including presidents, kings and Oprah, will be in Atlanta on Saturday to inspire women. 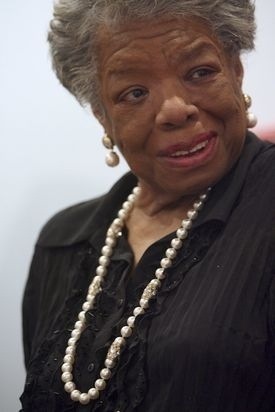 Angelou will be the keynote speaker at the “Women 2 Women 2014 Inaugural Conference: Intergenerational Life Lessons & Legacies,” sponsored by Young Eventions Group, an Atlanta-based nonprofit mentoring organization for women. 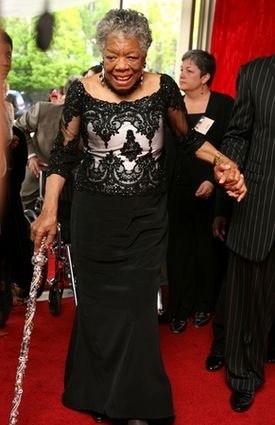 Atlanta Journal-Constitution reporter Ernie Suggs chatted with the 85-year-old Angelou about the conference and what the inspirations will be. Why is this particular conference important to you? It is quite important to women and to girls, but also to men and boys. The program hopes to encourage young women to believe in their own self-worth. When women don’t feel worth, they can’t insist upon it. Then men treat them the way they like. The conference hopes to develop a desire to be worthy of good treatment. And, with that, the health of the family is increased. If there is a thinking that women are not feeling worthy of anything, when did that shift happen? The shift is going on now, but it didn’t just start. There was a time when women could not vote or own property – black, white and all persuasions. We have come a long way. We now have women heading important Ivy League colleges. We are thinking about Hillary Clinton in 2016. But that doesn’t mean we have come all the way. It shows that we need to grow in a sense of self-worth and a fair place. What is it about your writings and words that continue to inspire and motivate people? I have lived long enough that I should know something. 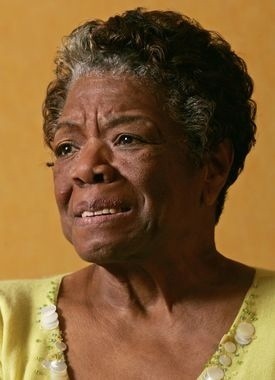 In a few months I will be celebrating my 86th year on this earth. As soon as you know something, you should give it away. I used to think of myself as a writer who could teach. But really, I am a teacher who can write. As soon as you know something and you have tried it, tell it to someone. Also, never fall in love with a position. Have enough courage to change. Is courage important to you? Copyright 2014. Natasha Foreman Bryant. Some Rights Reserved. Smiling because I'm blessed and nothing, and no one can change that!